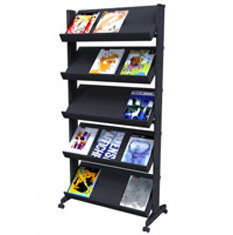 Quality display stands at discount prices, with many available for next day despatch. 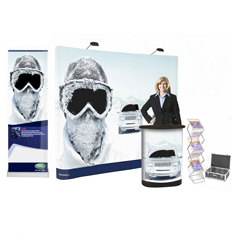 Whatever your requirements, we have the right display stand for you. Choose from our range of display stands including poster displays, pop up stands, modular stands, pole and panel, exhibition stands and much more, all backed by our 14 day hassle free money back guarantee. 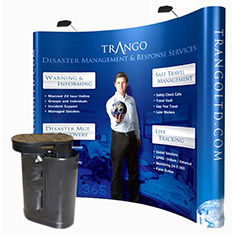 As we have such a wide range of display stand products, we have a solution for many different marketing situations. Some being ideal for exhibition and retail locations, while others are more suited to places such as museums or hotels. Our team of display experts are on hand to help you choose the best stand, be it a single or double sided poster holder or choosing between wood, metal or acrylic for your display. Call us today on 0844 800 1020 to make sure you get the right display to meet your requirements and get the most from your marketing budget. Why wait a week? We deliver next day! We hold large stocks of display stands, perspex information displays and snap shut poster frames ready for same day dispatch throughout the UK. 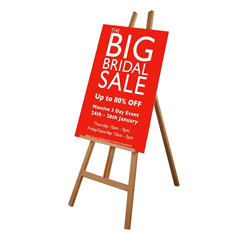 Our extensive range of portable free standing signs and information poster frames are priced very competitively and backed by our 14 day money back guarantee. 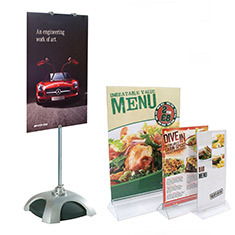 Many of our most popular display stands feature snap shut poster frames designed for easy display of posters. Whether you are looking for hotel marketing such as foyer signs or need to brand a we have the right display. 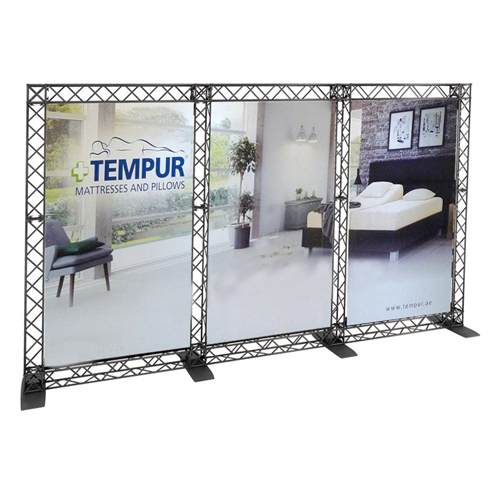 Display stands are also popular for guiding and enticing customers onto trade show stands, exhibition displays or even outdoor events and festivals. Crowd control signs menu stands and outdoor information boards are all available with quantity discounts. With years of experience supplying clients with promotional displays and stand solutions, we have refined our selection to offer a display stand for any budget, while maintaining the same high quality we demand for all our products. 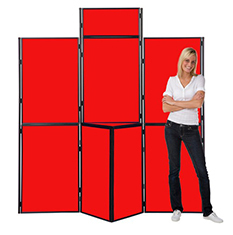 All our stock display stands are backed by our 14 day money back guarantee. 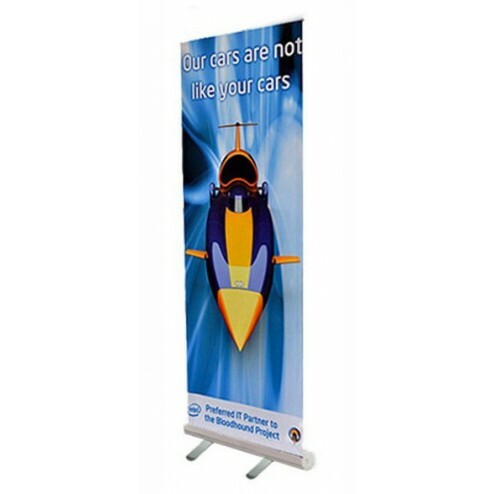 Some of best selling shop fittings and retail display stand products include aluminium poster display stands available which display popular A1, A2, A3, A4 poster sizes. 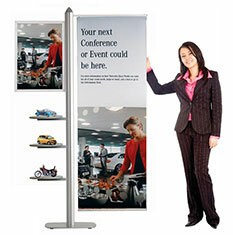 Free standing poster display boards are popular as point of purchase display stands. 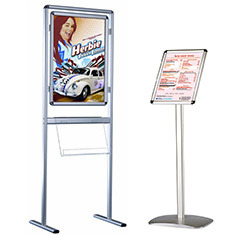 Features include, height adjustable poster holders, promotional sign holders. 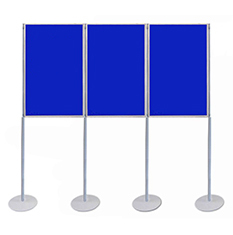 Several of our point of purchase display stands are exclusive to Discount Displays including our unique sign post systems that allows you to display rigid boards. As well as our stock displays stands and information we offer a bespoke service where you can design a display to suit you exact requirements. Check out our dynamic display stands, product display stands and table top and counter display stands.